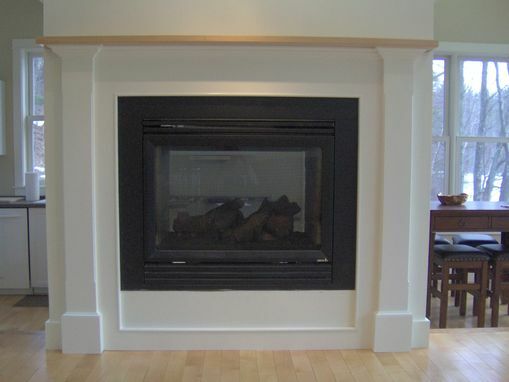 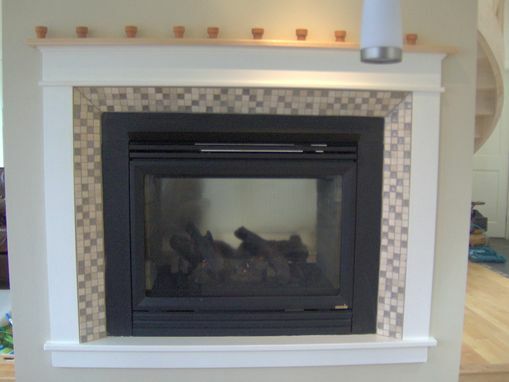 This surround is part of a two sided gas fireplace. 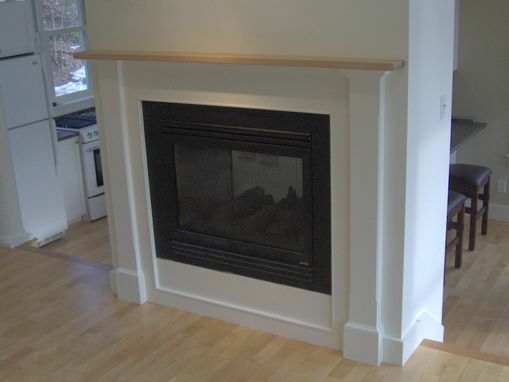 One side at floor level and the other at counter height from the step down kitchen/dining area. Simple design with plinth blocks at the base matching the interior trim and a radius edge on pilasters to add some dimention. 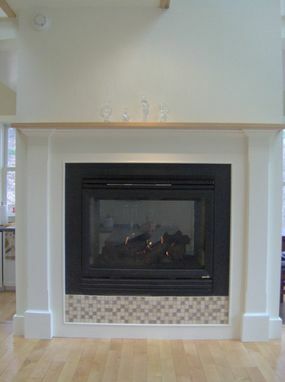 The firebox is surrounded with an extruding half round bead which renders separation from the wood to allow for tile or slate below if desired.